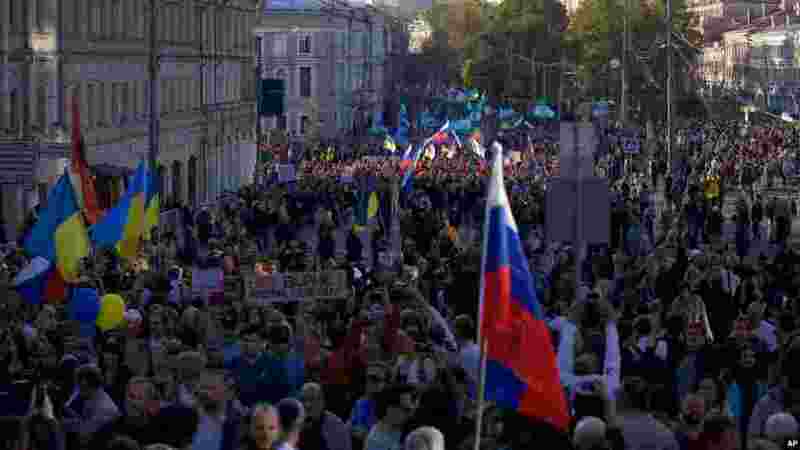 Thousands of Russians marched in protest against the armed conflict in Ukraine on Sunday in the first major anti-war rally since the start of the standoff between Kyiv and pro-Russian rebels. 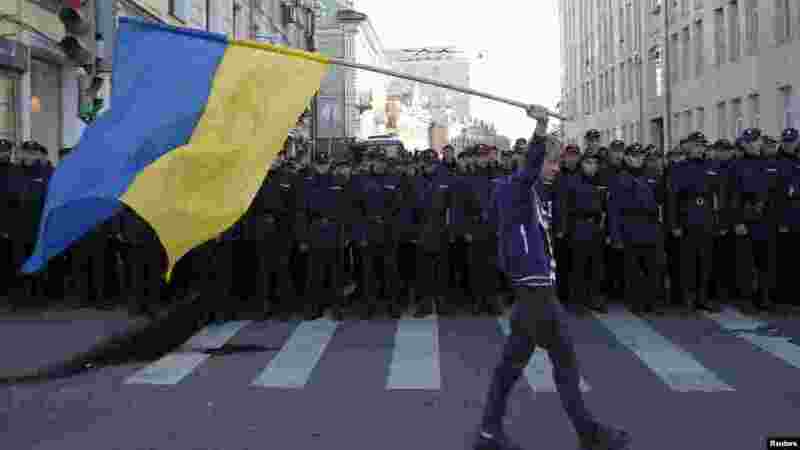 1 A man with a Ukrainian flag walks past riot police standing guard during an anti-war rally in Moscow, Sept. 21, 2014. 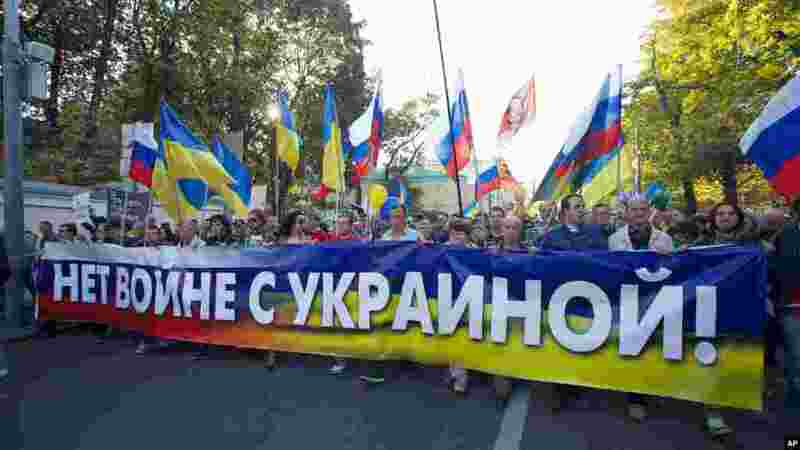 2 People carry a banner reading "no war with Ukraine" during an anti-war rally in downtown Moscow, Russia, Sept. 21, 2014. 3 A girl carries a banner reading "we're for peace" during an anti-war rally in downtown Moscow, Russia, Sept. 21, 2014. 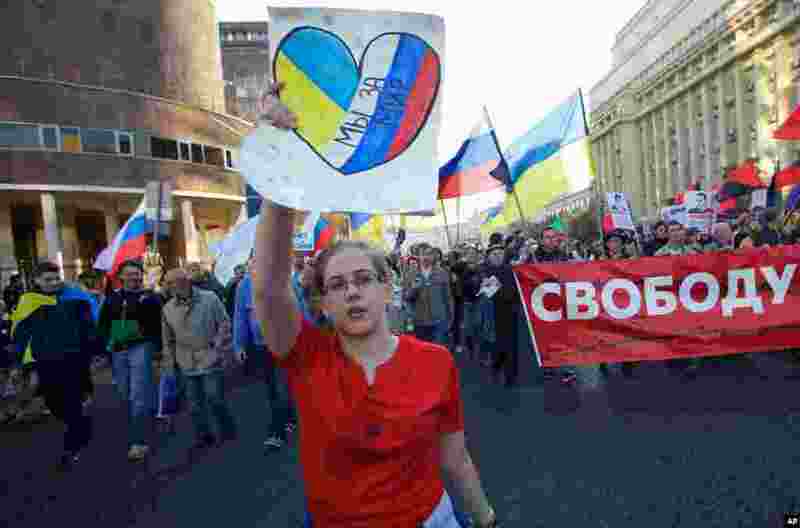 4 People carry Russian and Ukrainian flags during an anti-war rally in downtown Moscow, Russia, Sept. 21, 2014.